The company has partnered with Ability Options to provide ongoing employment to those with special needs. 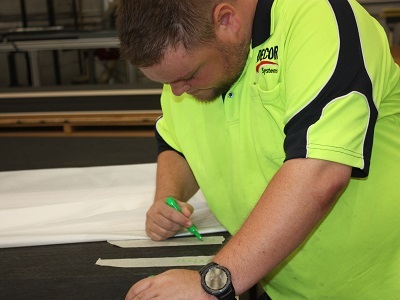 As a diverse and inclusive workplace, Décor Systems is dedicated to enabling a supportive and compassionate environment for all of their valued team members including Nathan. Energetic and vibrant, Nathan is a true contributor. ‘Meg and I are very thankful to you and the fabulous Decor team for all the support and encouragement you give to Nathan. He enjoys his work at Decor and has grown enormously in his confidence since he began working with you several years ago. Please pass on to all of the Decor team our best wishes for your families and your business in the times ahead.